The liner notes start with “Say howdy to ‘our’ brand of Cowboy Swing!” I like The Stardust Cowboys’ brand of Cowboy Swing! They start with an upbeat song, Easier To Know, written by Gary Campbell and they’re off ‘n runnin’! Blue Mesa was written by Roger Bryant Brown and Luke Reed and Along The Navajo Trail is from the film “Along The Navajo Trail from 1945. With the exception of those two songs, all the rest were written by either Gary Campbell or Vicki Campbell or a collaboration of both. You will hear: How The Cowboys Swung The West, When We Dance, Pirate Of The Placers, Picnic Basket, She’s Always On My Mind, Wedding Vow, Change My Heart, Butterflies In Heaven, Go’n North, Tribute To Sal Sage and Last Cattle Call. Gary and Vicki Campbell are joined on this album by Ronnie Elkan (fiddle, mandolin); Olen Dillingham (fiddle, mandolin; Joe Lev (bass guitar); Duncan Elledge (standup bass, guitar, harmonica); Paul Sutherland (pedal steel); Ryan Goodpastor (drums, percussion); Bob Woods (electric & baritone guitar0; Conrad Nelson (harmonica) and Ken Nilsson (harmony vocals on Picnic Basket). It’s a well done CD by lots of talented folks! You will be happy to have it in your library. 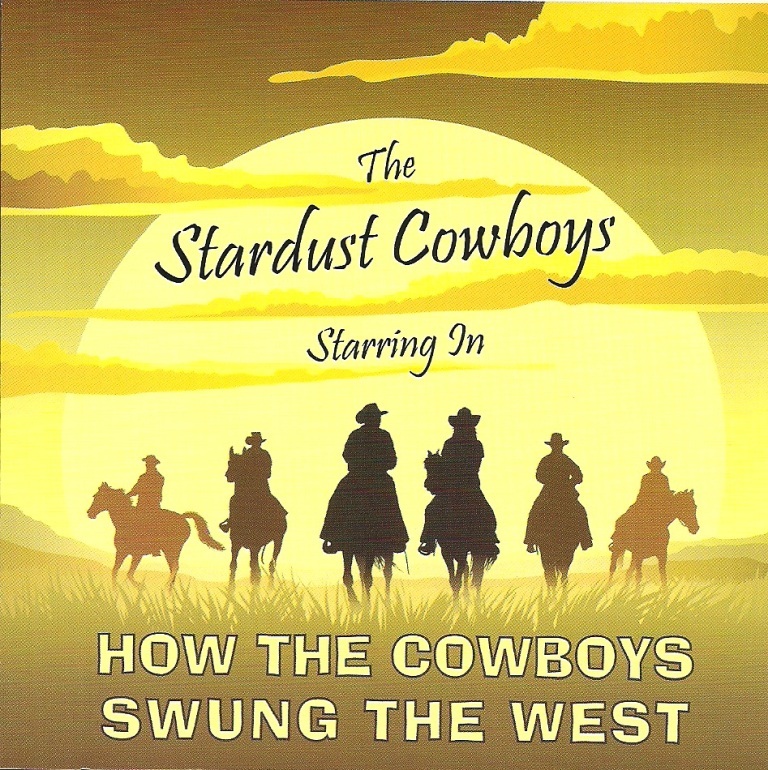 The Stardust Cowboys can be contacted at www.stardustcowboys.com or email them at starcow@ftcnet.net. You’ll be tickled you did!